Health Improvement Services | Powell Chiropractic Clinic, Inc. This non-invasively tests acupressure points on your hands and feet. The test results will help the doctor identify any imbalances in your organs or organs systems. For more information, visit www.biomeridiantesting.com. This test measures the total water content of the body, fat mass, fat free mass, BMI and metabolism. The method involves passing an extremely low strength electrical current through the body and measuring the impedance to the flow of this current. At the Powell Chiropractic Health Improvement Center, we use RJL Systems, the originator of Bioimpedence analysis. This machine records the sounds of the heart as the blood moves through the different valves, vessels and chambers. The graph produced reflects the opening and closing of the valves, the contraction and strength of the heart muscle and also reflects the proficiency of the movement of the blood; thus giving a distinct view of heart function. This therapy balances energy systems by drawing out toxins in the body. By immersing your feet in a warm-water foot bath, the Ion Cleanse unit will draw the toxins out of the body through the pores in the feet. This program will supply your body with 10 days of high-quality, whole food supplements to help improve blood-sugar handling. Results show that you will develop a strong foundation to help control the underlying causes of unbalanced blood sugar and jump-start a new phase of well-being. The program includes pre and post lab work testing and supplements for 10 days. Click here to find out if the blood sugar program may be right for you. The 21 day purification program combines a generous menu of whole foods with supplements that support the body’s ability to remove naturally occurring toxins. This promotes a state that allows for toxin release and can improve overall body function. The Program includes lab work before and after in addition to all supplements. To learn more about the program, check out the program guide. 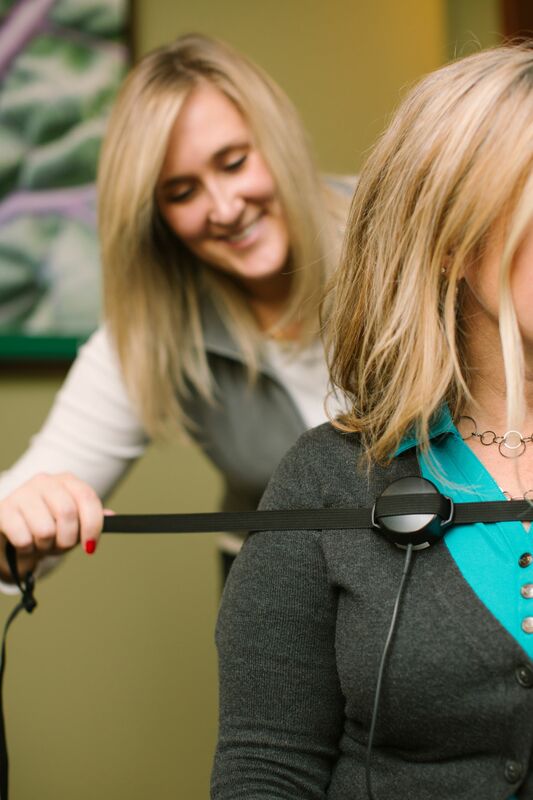 A customized program that meets individual fitness interests, needs, goals and objectives designed our Dr. Abbey and our rehab specialists and also a certified personal trainer. To learn more about Powell Chiropractic Rehabilitation program and facility, click here. Complete Nutritional Panel are ordered for analysis. Individual tests for various specific blood level components can be ordered as well. Blood work is done through LabCorp. Click here to find a Lab Corp location near you. Basic test performed in office at no charge. Charge applies if sample need to be sent out for additional testing through LabCorp. Click here to find a Lab Corp location near you. This testing is done through Genova Diagnostics and includes Microbial Ecology, as well as parasitology testing. This testing is performed through Genova Diagnostics. The laboratory analyzes hair for metal toxicities along with mineral deficiencies. This testing is done through Genova Diagnostics. It evaluates immediate as well as delayed responses to different foods. This testing is done through Genova Diagnostics to assess adrenal function. This testing is done through Genova Diagnostics for both male and females to evaluate a wide verity of hormonal issues or imbalances.